Have you experienced Fraserway RV? Help others learn about this company by sharing your first-hand information with other road-trippers. 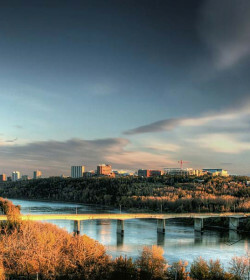 As the largest family-owned RV rental business in Canada, Fraserway has branches all over the country. 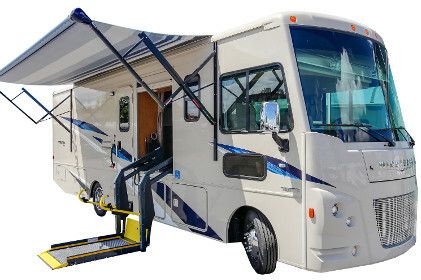 This time-tested company is unique in so many ways, but one distinct feature is its wheelchair accessible motorhomes that completes its fleet of van conversions, truck campers, and Class A and Class C motorhomes. 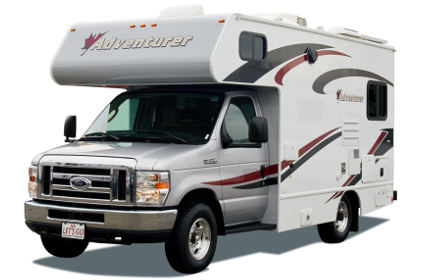 Fraserway RV has been providing friendly and personalized service since 1969. 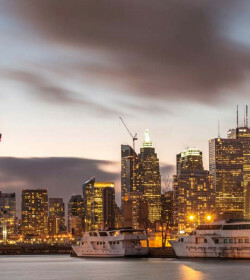 This family-owned company allows you to experience the Great Canadian Adventure with six branches from coast to coast. 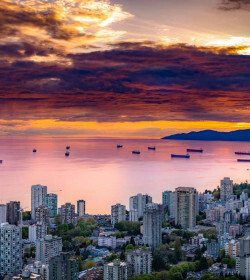 The depots in Toronto, Edmonton, Calgary, Vancouver, Whitehorse, and Halifax give utmost convenience to renters for easy pick-ups and drop-offs. 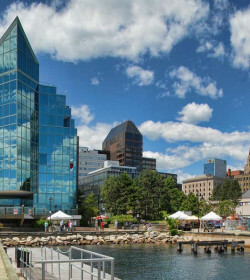 For further comfort, they offer shuttle services from/to airport and airport/ downtown hotels at no additional fee! Their one-way rentals and travel to the US with no surcharge for extra drivers are also impressive, not to mention their multilingual staff! 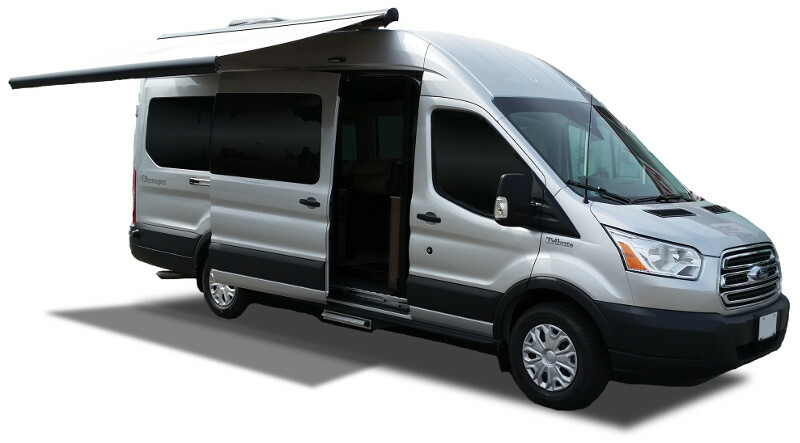 Loaded with a fleet of only 2-year old models that are pet-friendly, you’ll have lots of options at hand一from van conversions to truck campers and traditional motorhomes to wheelchair accessible units. 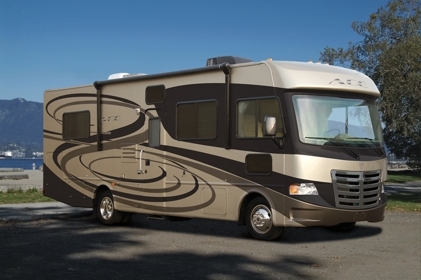 The motorhome range is composed of luxury Class A’s and conventional Class C’s. This family-based rental offers units with 3-point seat belts for your child’s protection. Further, you can rent out their ‘Convenience Kit’ equipped with utensils, dishes, pots, as well as towels, bedding, outdoor chair and the like. The Van Conversion is built from a Ford Transit in an automatic transmission, either in gas or diesel engine. A 2 berth unit, this could be smaller than usual motorhomes yet provides just enough space and comfort for unassuming couples. Furnished with a lounge bed, bathroom with shower and toilet, and a nice kitchen, this is a description of a small but functional accommodation on the road. Sleeping two adults and one child, the Truck Camper is your go-to unit that defines independence, functionality, and comfort, all in one. 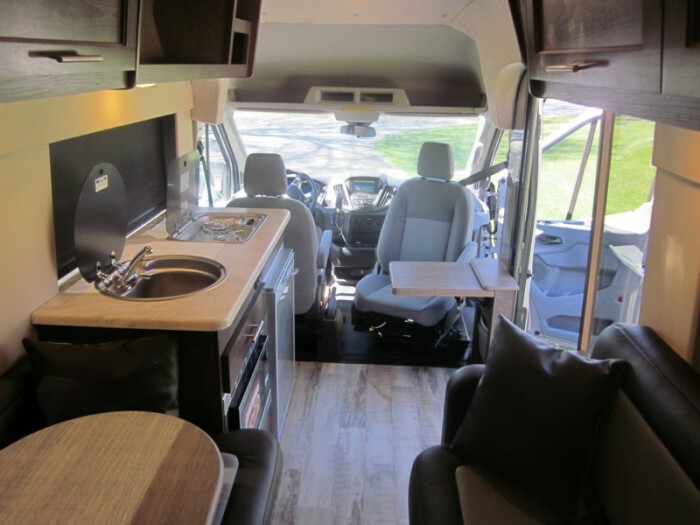 A good choice for those with a heart for adventure, the camper includes a large double bed, a convertible dinette, convenient kitchen galley, and a small bathroom. This one also has a child seat option for a secured family road trip. 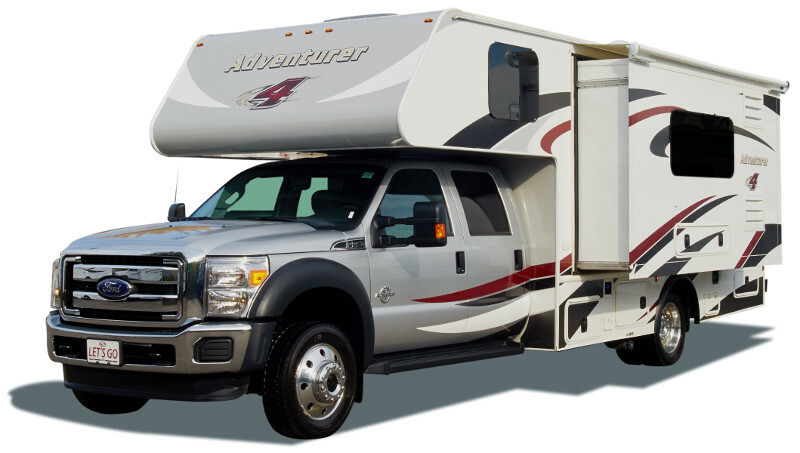 For luxury and adventure, you’ll get the best of both worlds with this truck camper featuring a slide dinette. This is not just your ordinary sturdy unit but rather spells out indoor elegance. Designed with a full wall slide-out, the unit now comes with a roomy dinette that transforms into a double bed for your kids. Another spacious double bed is provided for the parents so that the unit caters up to 4 people. 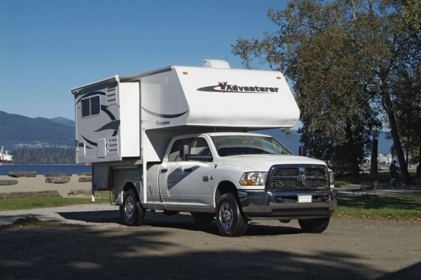 Another truck camper option is this berth unit, recommended for young, gutsy family. 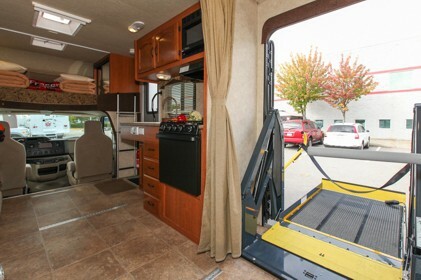 Tailored with a generous interior, it’s not hard to roam around inside the camper. Plus, the large cabover double bed has a wardrobe for your clothes and other stuff. And because of the bunk slide-out, your children can have their own sleeping areas. The Class C motorhomes are divided into different unit sizes一small, medium, large, and xlarge, meaning the motorhomes can accommodate a different number of family members. If you are a couple bringing a child, the smallest Class C is designed with a U-shaped lounge that adds up to the cab-over double bed as a sleeping area. Both medium and large Class C’s are 5 berths with a permanent rear bed. 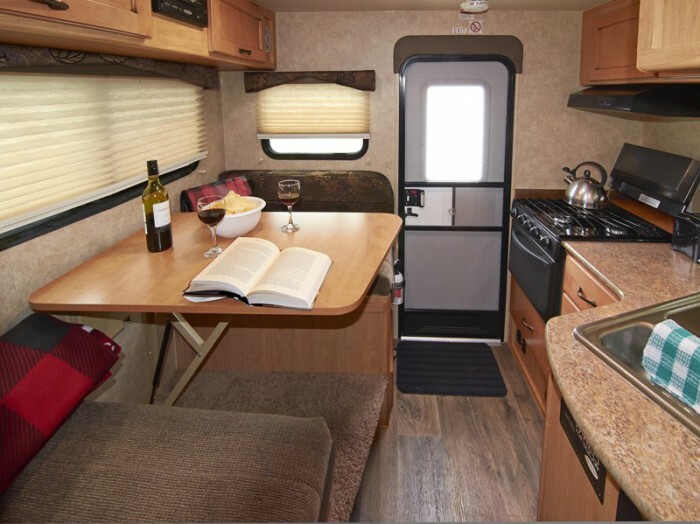 The only difference with the two is that the larger motorhome has a slide-out that extends the dinette and a swivel chair for convenience. Lastly, the Xlarge motorhome sleeps up to 6, featuring a private ensuite, large dinette in slide-out, spacious bathroom with separate shower stall, and plenty of storage. Custom-made on a sturdy F-Series Diesel truck, the Adventurer 4 is a 4x4 with 2 slide-outs, hence a very spacious interior. 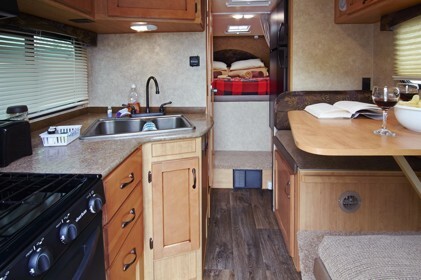 The 2 cabover twin beds easily convert into a king bed, and both dinette and rear lounge transform into beds so that the unit provides sleeping options for up to 6 adults. All 4 people can safely seat in front because of the fitted 3-point seatbelts. 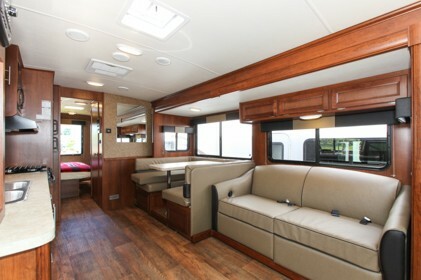 The luxury option on the fleet, this 5 berth Class A is gushing with elegant features and spacious interior. The living room area comes with a slide-out so that the dinette bed and sofa bed smoothly expand. Next to the living room is the bathroom area with separate shower and toilet. Another slide-out is positioned at the rear private bedroom rigged with a king bed and wardrobe. There’s a drop-down bunk on top of the swivel front seats. If you want a specialized Class C that conveniently transports a wheelchair inside and outside the unit, then you this one’s a charm. The entry step is designed to cater to those with a disability. 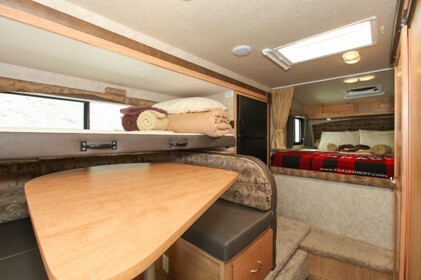 A 5 berth motorhome, the sleeping areas are at the cabover, convertible dinette, and permanent rear bed. 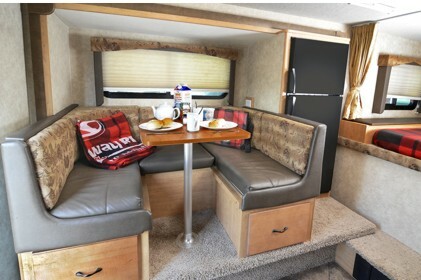 Sleeps 5 but is recommended for 4, this A-Class Wheelchair Accessible Motorhome is another option for families bringing someone with limited movements. Aside from the dinette bed and permanent rear bed, a cabover bed is added. At night, you can make use of the privacy curtain between the living area and bathroom for some peace and seclusion. The basic deductible amount is $7,500 but can be reduced by availing CDR (Collision Deductible Reduction) and/ or CDW (Collision Deductible Waiver). CDR at $26/day reduces the liability to $750 from $7,500 while CDW at additional at $13/day reduces responsibility from $750 to $0, plus coverage for tire, windshield, general glass damage, and the like. 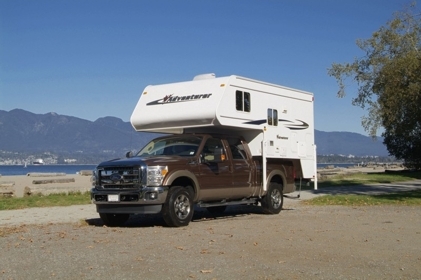 Without a doubt, Fraserway RV is one of the giants in the Canadian RV industry. With multiple branches, extensive experience, and the latest fleet, you see why this RV company is popular in the country. 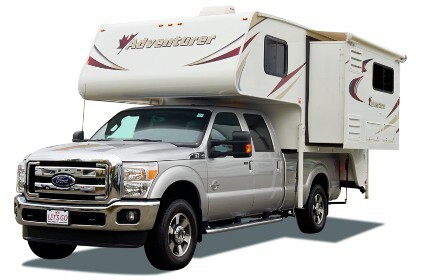 And to keep pace with the upsurge of RV businesses, Fraserway RV makes sure to only rent out a range of modern vehicles that are up to 2 years old. They may not be the cheapest but you’ll enjoy a luxury home nearby with lots of extras. 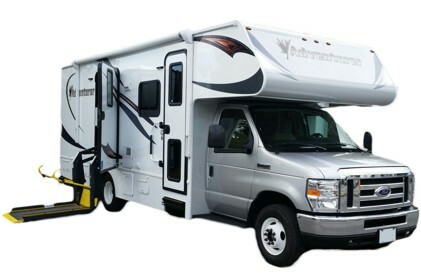 Plus, their fleet includes wheelchair accessible motorhomes and pet-friendly units. 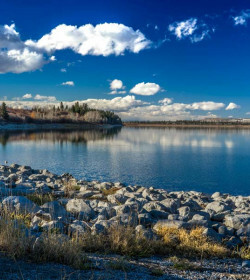 A family-friendly and pet-friendly RV rental that caters to different types of travellers, from couples to small group and families with a disabled loved one, Fraserway is definitely your go-to option. Have you experienced Fraserway RV?